Painters and travellers, you’ll be pleased to know that the artist Jeanne d’Arc Trudel has opened a workshop at the inn La Maison des Leclerc. During your stay here, take advantage of this opportunity to visit our exhibition or create your own painting, drawing and nature art. 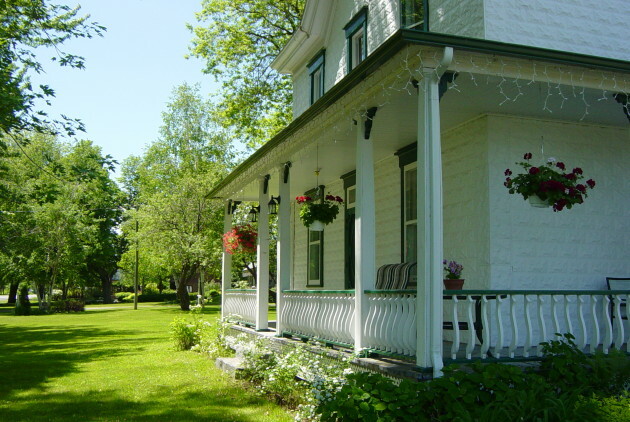 Cozy atmosphere, marvellous décor, access to the river, visit to a farm, visit to the area where Félix Leclerc wrote Notre Sentier (1934). We have the most gorgeous sunrises and sunsets imaginable!